We run eight Royal Horticultural Society (RHS) courses at the Botanic Garden. Suitable for keen gardeners or those looking for a career in horticulture. These recognised qualifications will help you develop your horticultural knowledge and skills. You will learn in study rooms at the Garden and use the Botanic Garden potting shed, reserve glasshouse and student plots. We have everything you need for your studies. Alternatively, you may be interested in studying with Garden Design School, based in the Botanic Garden. RHS Level 2 (L2) qualifications provide an entry route into the horticultural profession. They are a foundation for further learning or training. They also support career development for those working in the field of horticulture. Find out more about the RHS Level 2 Certificate on the Principles of Horticulture on the RHS website. You will undertake both certificates in the same year. Tuesday or Thursday evenings between September and June (7 pm to 9:30 pm). Examinations are in February and June each year. RHS Level 2 Certificate in the Principles of Garden Planning, Establishment and Maintenance – spaces available. The RHS Level 2 Certificate in the Principles of Horticulture course is currently fully booked for 2018 to 2019. There is a waiting list, contact us at botanic-gardens@bristol.ac.uk for information. It is recommended that learners have completed a Level 2 horticultural qualification or have equivalent experience before starting Level 3. RHS Level 3 (L3) qualifications offer opportunities for employment. You can begin to specialise in your area of interest. We run three RHS L3 qualifications, two theory based and one practical based. Completing all three of the L3 courses will achieve the RHS Level 3 Diploma in the Principles and Practices of Horticulture. Find out more about the RHS Level 3 Diploma in the Principles and Practices of Horticulture and Level 3 courses on the RHS website. 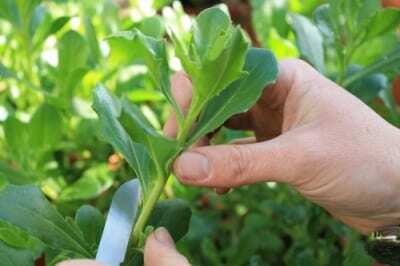 L3 Certificate in the Principles of Plant Growth, Health and Applied Propagation runs on Wednesdays between September and June (7 pm to 9:30 pm). L3 Certificate in the Principles of Garden Planning, Construction and Planting runs on Mondays between September and June (7 pm to 9:30 pm). L3 Certificate in Practical Horticulture runs on Saturdays with 20 study days between February and October. Contact us at botanic-gardens@bristol.ac.uk to find out about availability for 2018-19. As well as forming part of the RHS Level 3 Diploma, you can take this practical certificate separately. The RHS Level 3 certificate in Practical Horticulture is A practical-based qualification to improve the horticultural skills needed for career development to supervisory or management roles, or to further develop your interest. Each unit will be assessed by means of a range of practical activities. Find out more about the Certificate in Practical Horticulture on the RHS website. L3 Certificate in Practical Horticulture runs on Saturdays with 20 study days spread between February and October. The next course is due to begin on 23 February 2019 and enrolment is now open. To apply, or for more information, contact us at botanic-gardens@bristol.ac.uk. Address your email to the Practical Co-ordinator, Mrs Chris Radford. "It was a huge commitment to embark on this course but if you are really passionate about plants, learning and improving your horticulture knowledge, then achieving these foundations ensures you have attained a level of knowledge that is a recognisable benchmark within the industry."